Private browsing mode doesn’t offer complete privacy, but it does prevent your browser from saving your history, searches, cookies, and other private data between browsing sessions. You can have your browser always start in private browsing mode if you prefer it. To activate Google Chrome’s incognito mode by default, you must add a command line option to its shortcut. First, locate the shortcut you use to launch Google Chrome—either on your taskbar, desktop, Start menu. Right-click it and select “Properties”. 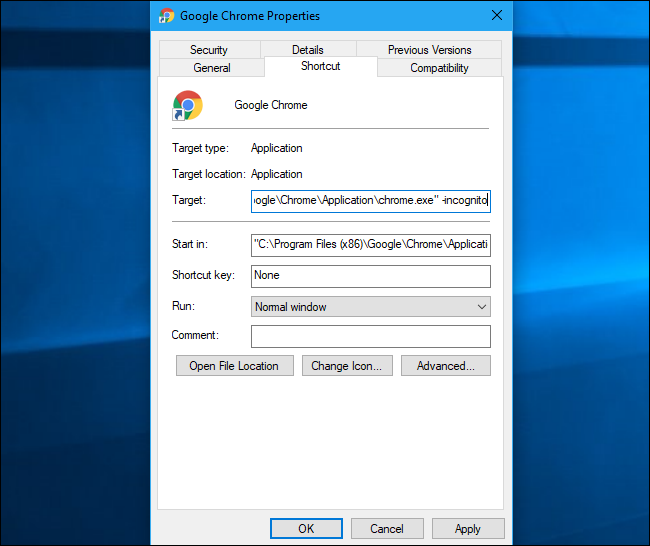 If you’re using a taskbar shortcut, you’ll have to right-click the Google Chrome shortcut on your taskbar, right-click “Google Chrome” in the menu that appears, and then select “Properties”. Add -incognito to the end of the text in the Target box. That’s a space, one dash, and then the word incognito. Click “OK” to save your changes after adding this option. Google Chrome will now start in incognito mode when you launch it from this shortcut. If you use other shortcuts to launch Google Chrome, you will also need to modify them. To undo this change in the future, edit your shortcuts and remove the -incognito text you added. Firefox allows you to automatically enable private browsing mode via its options window. Click menu > Options to open it. Click the “Privacy” tab at the left side of the window to access your privacy settings. Under History, click the “Firefox will” box and select “Never remember history”. You’ll be prompted to restart Firefox. 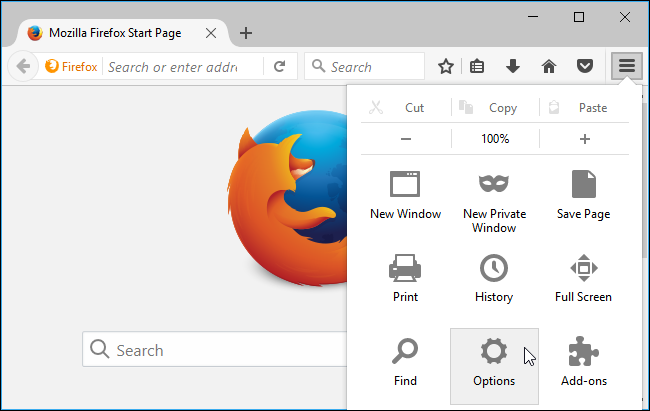 Firefox will now always use the same settings it uses in private browsing mode, although it won’t display its normal private browsing interface. It will just look like a normal Firefox browser window. To undo this change in the future, return to this pane and tell Firefox to remember your history again.